The geographical spread of the AMEC prior to the Civil War was mainly restricted to the Northeast and Midwest. Major congregations were established in Philadelphia, New York, Boston, Pittsburgh, Baltimore, Washington, DC, Cincinnati, Chicago, Detroit, and other large Blacksmith's Shop cities. Numerous northern communities also gained a substantial AME presence. Remarkably, the slave states of Maryland, Kentucky, Missouri, Louisiana, and, for a few years, South Carolina, became additional locations for AME congregations. The denomination reached the Pacific Coast in the early 1850’s with churches in Stockton, Sacramento, San Francisco, and other places in California. 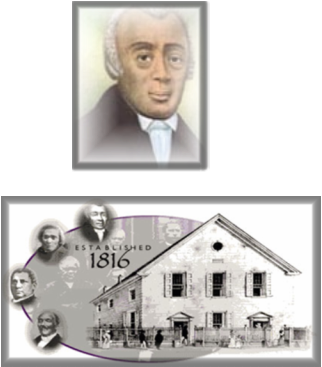 Moreover, Bishop Morris Brown established the Canada Annual Conference.